How Do Electronics Manufacturers Add Value To The Supply Chain? Electronic manufacturers are spoilt for choice when it comes to finding suppliers for their PCBs and box build assemblies. Or are they? While there are numerous suppliers and electronics contract manufacturers around the world vying for their business, how do they really add value to the supply chain? That’s one of the key differentiating factors we believe OEMs should be looking for when comparing different electronics suppliers. But how? The problem is they will all claim to deliver on key elements: quality, delivery and cost. So, how can you tell if a supplier is going to deliver above and beyond? We believe it’s when an electronics supplier demonstrates an appetite for a partnership. Instead of just quoting on your requirement and entering into a transactional relationship; they want to work collaboratively to optimise their part in the supply chain, for your business’ objectives and success. When you ask for a quote they start asking questions. Right from the start they want to understand your requirement, your business and find ways to deliver more value. Why? Because partnerships are good for business, when your interests and their interests are aligned everyone is focused on getting a competitive edge and succeeding in the marketplace. At EC Electronics we’re practicing what we preach. We partner with inventors, OEMs, design houses and manufacturers through our product realisation service to find ways to deliver value and enhance each of the key elements. Quality – choosing a supplier involves assessing their engineering capabilities and quality management systems. This includes vetting potential suppliers with the right ISO certification, the right production and testing processes and equipment, and the right expertise and culture to deliver the quality required. However, suppliers who add real value will go beyond these points and want input on design manufacturability. They will want to collaborate to improve design and manufacturability to deliver on quality goals. Delivery – at the very least you might expect a supplier to work with you to an agreed timeframe and meet deadlines to deliver and ship orders. Or you could work with a supplier who looks for continuous improvement in logistics and delivery to give your business a competitive edge. An electronics supplier that wants to work with you, rather than for you, will be looking for ways to drive efficiencies, buy smarter and deliver faster. They will tailor systems and processes to meet your goals, not try to fit your requirement to their existing models. Cost – sourcing materials and components worldwide and the economies of scale can all drive costs down, but look for suppliers who don’t only explore purchasing as a way to save their customers money. Suppliers with the big picture will look for opportunities to reduce costs in the design and manufacturing, implementing and advising on ways to optimise process, workforce and inventory carrying costs. At the heart of this elements, partnership. This relationship allows for an interchange of ideas and knowledge between quality, delivery and cost. 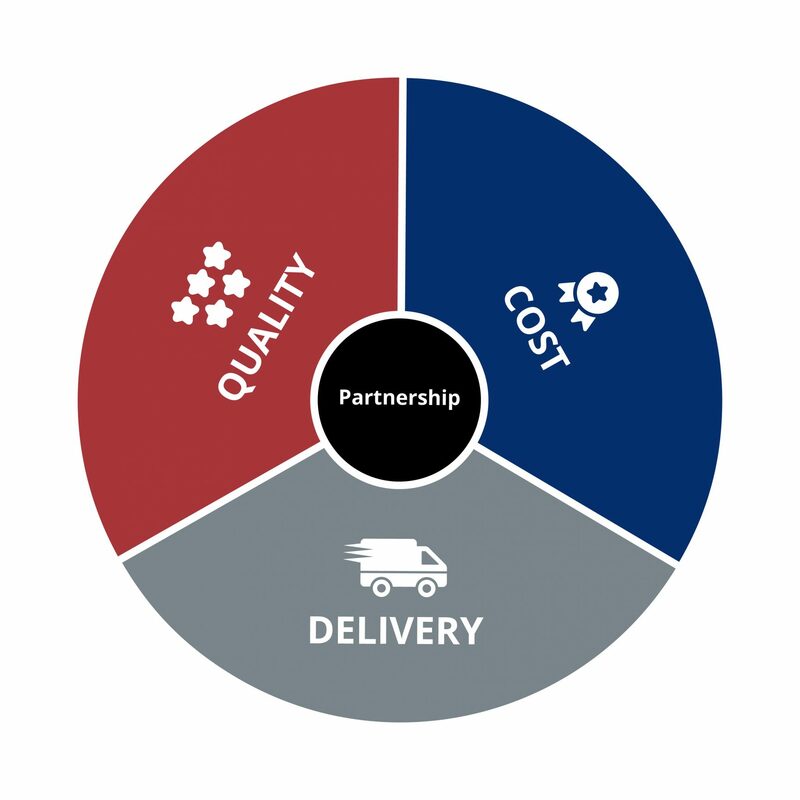 Without a partnership your electronics suppliers can’t add value to these critical, interdependent drivers. Our advice is to look for the partnership first. Yes, capacity, quality control, and technical skills and equipment are essential; but a true partner will also bring additional expertise to the table that can improve the product, manufacturing and logistics.